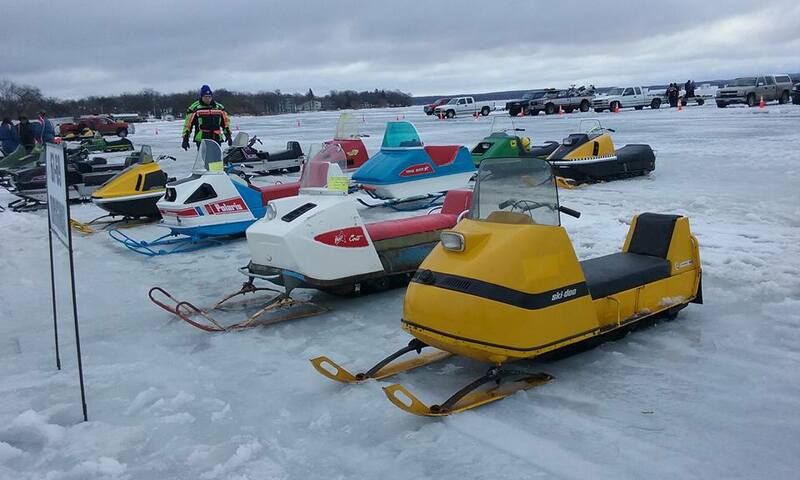 The 16th annual ULTRA Vintage Snowmobile Rally & Swap Meet takes place on Saturday, February 16 on Little Detroit Lake (near the Zorbaz). Registration is from 8:00 a.m. - 11:00 a.m. with trophies awarded at Noon and then the Ride from Noon - 5:00 p.m. For more information contact, Wayne Schlauderaff at 218-849-3069 or visit www.ultradl.org. Classes include Antique to 1996 and Trophy for Best Dressed in Vintage Apparel . $5.00 Raffle Tickets w/ Over $5,000 in Cash & Prizes! Tickets available from most ULTRA Members and the day of the Rally on the lake. Radar Run: Ice Track & Snow Track, for details contact Joe Koch 218-849-0948 . Bikini Radar Run: 12:30pm BRR for Breast Cancer - Freezin' for a Reason! Women & Men who raise a $50 minimum in pledges will Radar Run in their bikini, gloves, boots & helmet! Prizes given for fastest lady & most money raised. All money raised for this event will be donated to Pink Ribbon Riders.